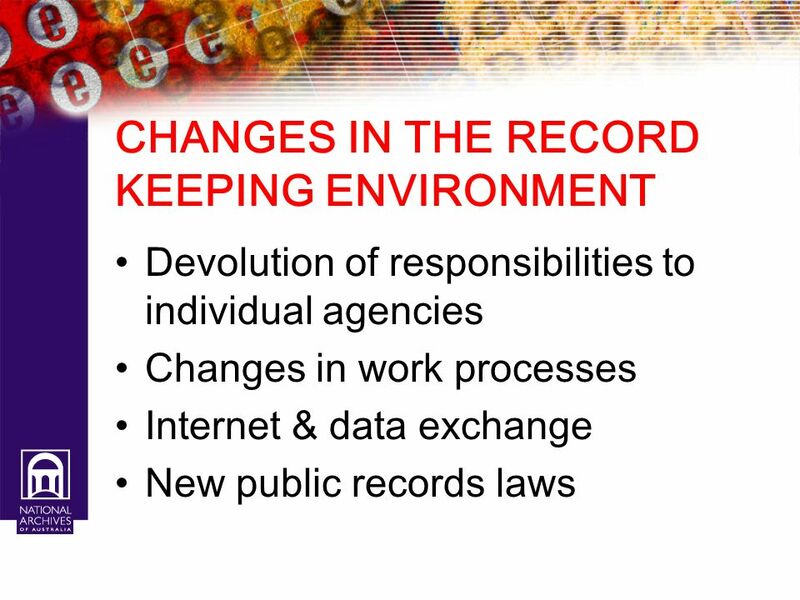 Devolution of responsibilities to individual agencies Changes in work processes Internet & data exchange New public records laws Over the past 10 years the environment in which Australasian jurisdictions have been confronting these problems has also undergone marked change. The devolution of responsibilities for recordkeeping from central service agencies to individual program agencies has continued throughout the period. 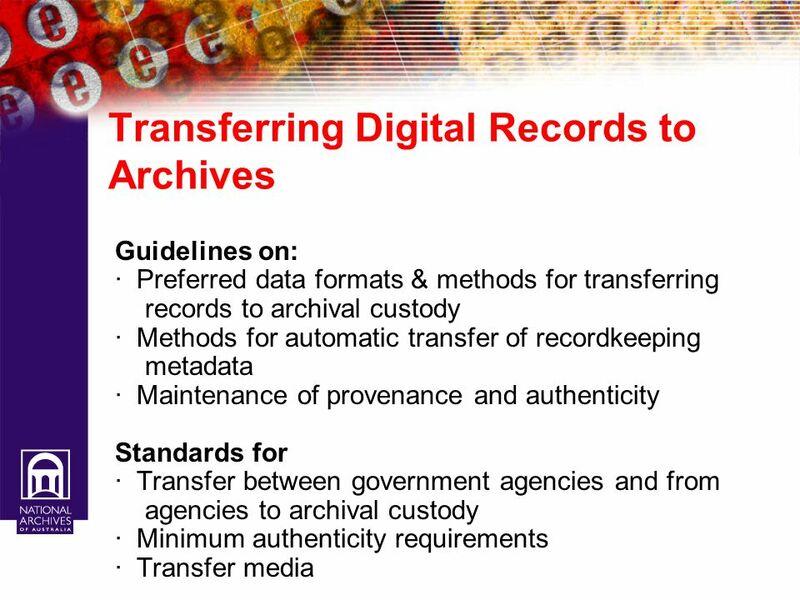 However, on the other side of the coin, in most jurisdictions the recognition that archival authorities should have responsibility for establishing and monitoring standards for recordkeeping has increased considerably, and in many jurisdictions has been formally legislated. 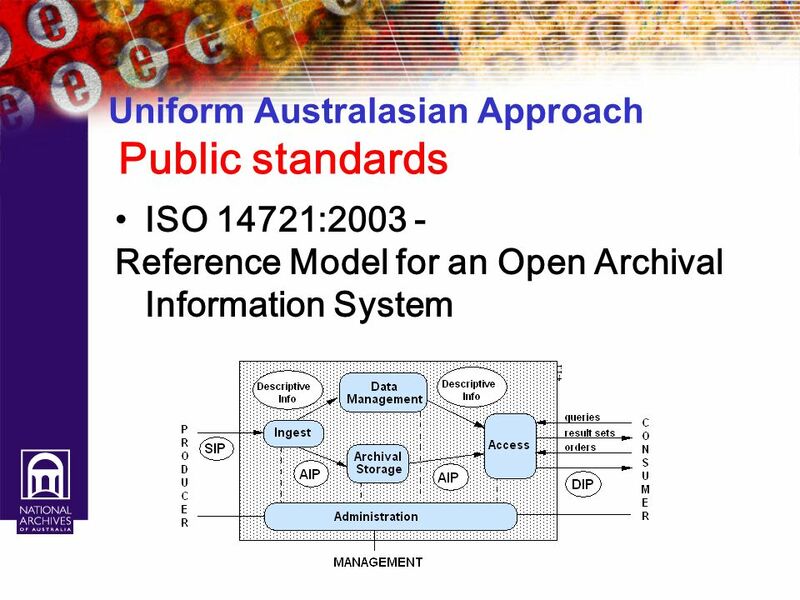 At the same time, the development of the Australian Records Management Standard, and several standards for recordkeeping metadata, has provided a common language and framework in which a great deal of useful progress has been achieved in both the public and private sectors. These radical changes have been matched by – indeed surpassed by – the rapid expansion of use of the Internet and the development of technologies for the reliable and authenticated exchange of data in business transactions. 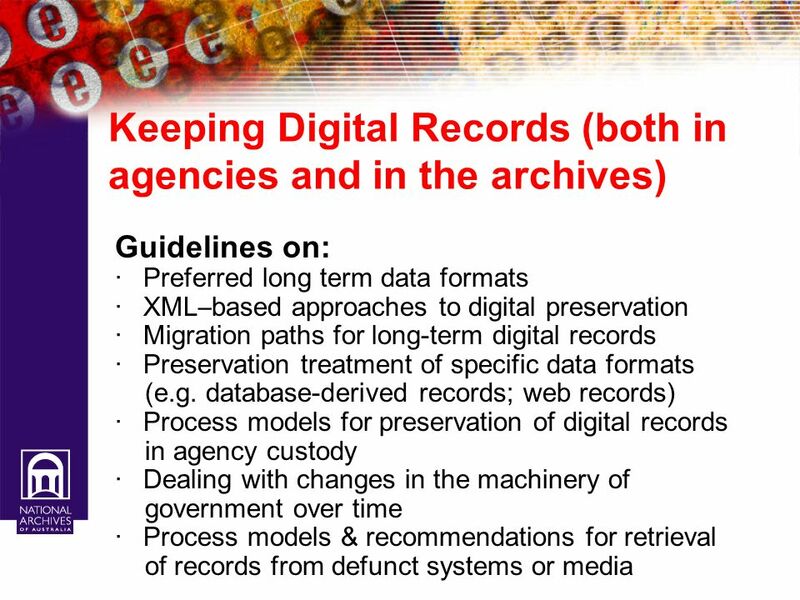 So the environment in which we are now confronting the central problem of preservation of digital records is both more challenging and also more conducive to resolution of the main issues. 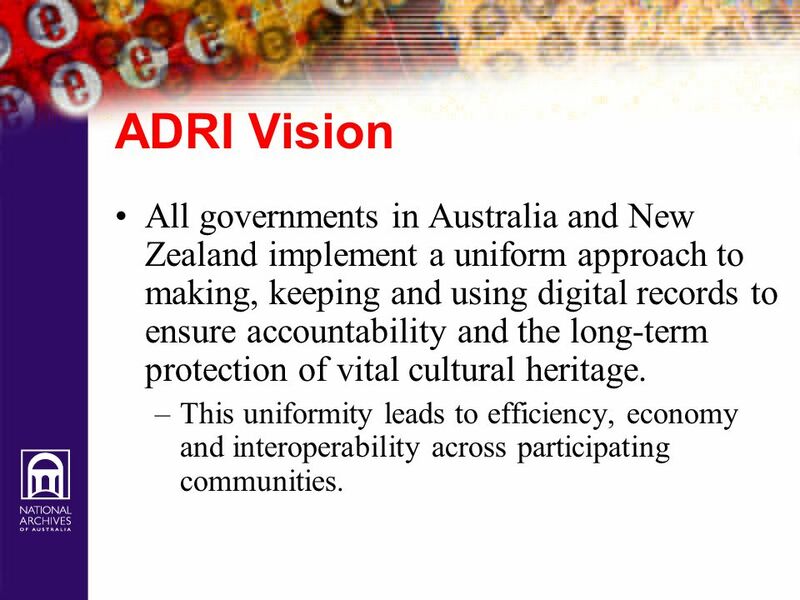 8 ADRI Vision All governments in Australia and New Zealand implement a uniform approach to making, keeping and using digital records to ensure accountability and the long-term protection of vital cultural heritage. 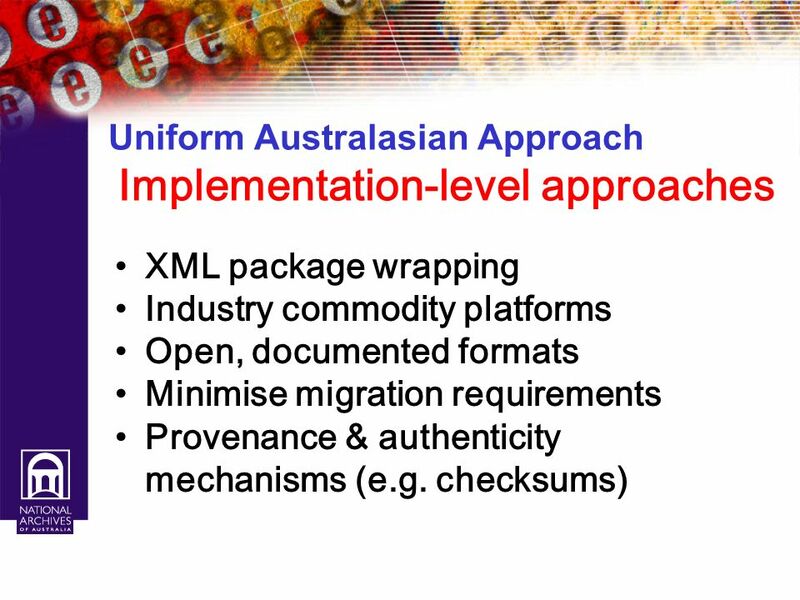 This uniformity leads to efficiency, economy and interoperability across participating communities. 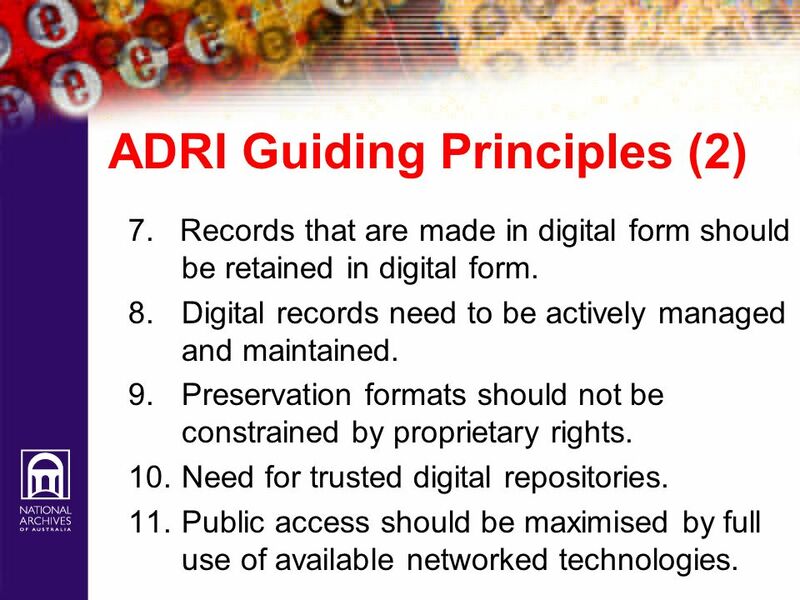 9 ADRI Objectives (1) That all ADRI members are committed to agreed principles for digital recordkeeping. 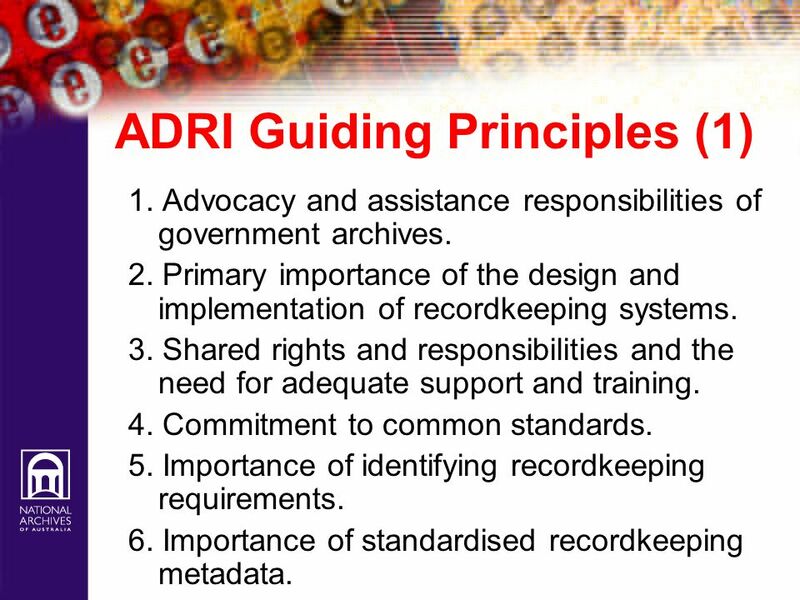 That ADRI supports members in advocating for appropriate digital recordkeeping to support government in their jurisdictions. 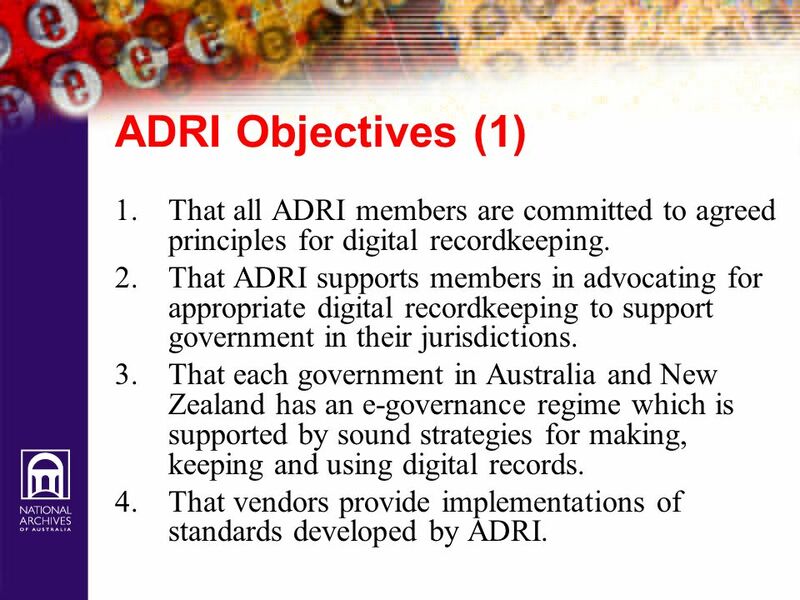 That each government in Australia and New Zealand has an e-governance regime which is supported by sound strategies for making, keeping and using digital records. 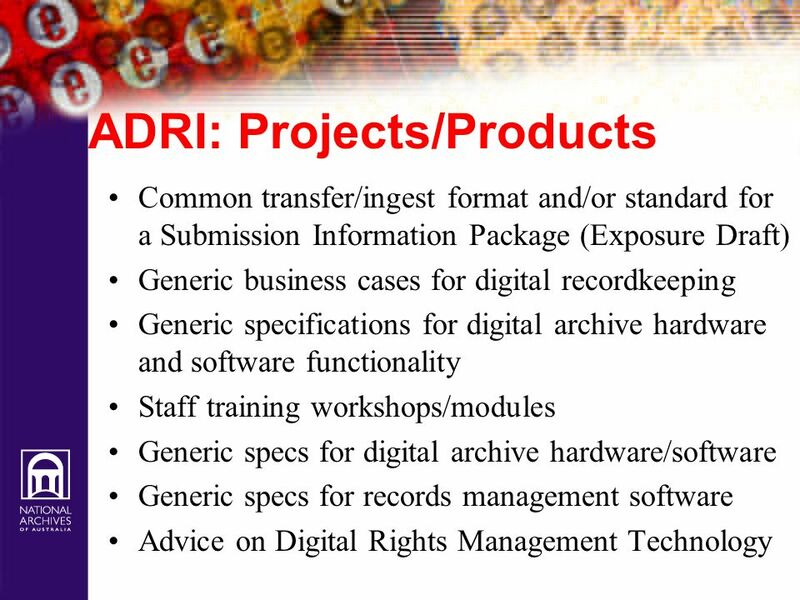 That vendors provide implementations of standards developed by ADRI. 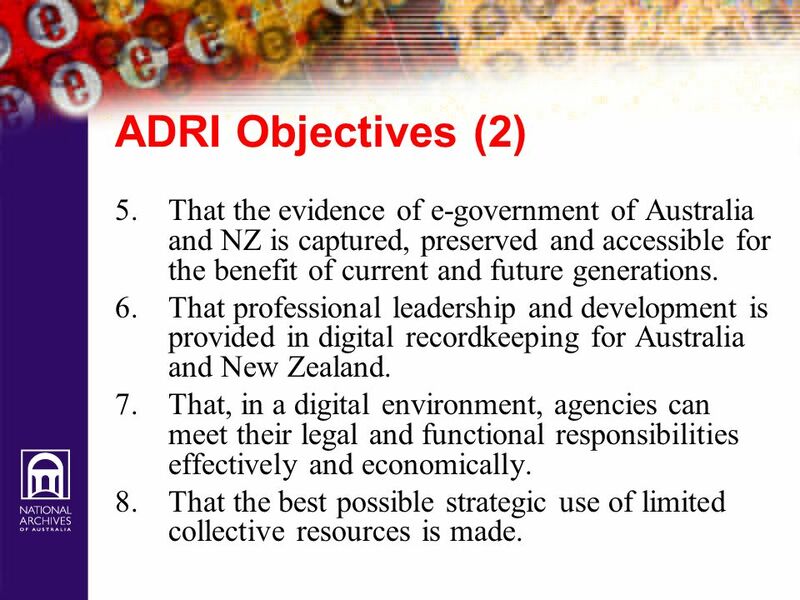 10 ADRI Objectives (2) That the evidence of e-government of Australia and NZ is captured, preserved and accessible for the benefit of current and future generations. 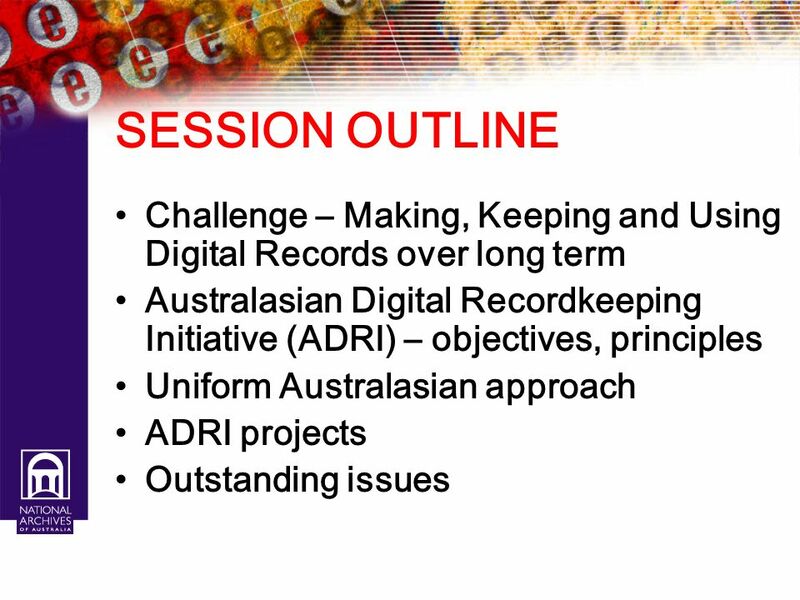 That professional leadership and development is provided in digital recordkeeping for Australia and New Zealand. That, in a digital environment, agencies can meet their legal and functional responsibilities effectively and economically. That the best possible strategic use of limited collective resources is made. 1. Advocacy and assistance responsibilities of government archives. 2. Primary importance of the design and implementation of recordkeeping systems. 3. Shared rights and responsibilities and the need for adequate support and training. 4. Commitment to common standards. 5. 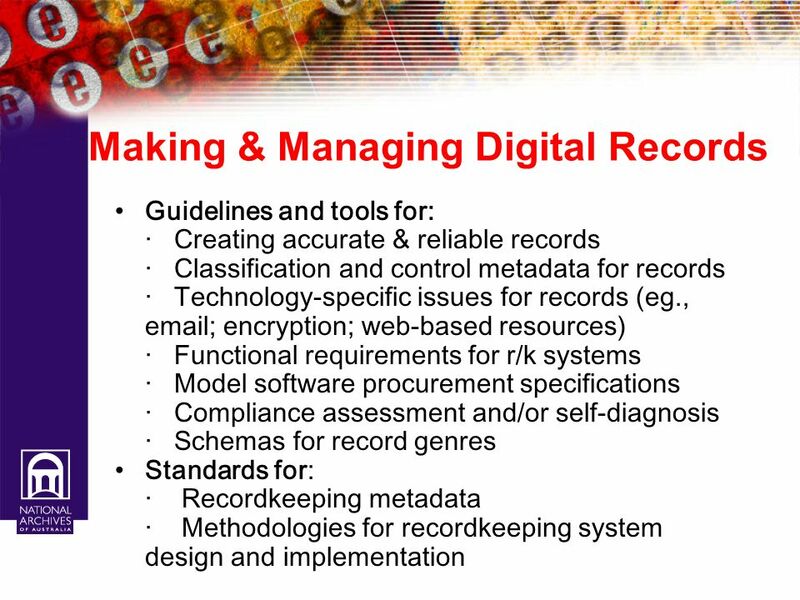 Importance of identifying recordkeeping requirements. 6. 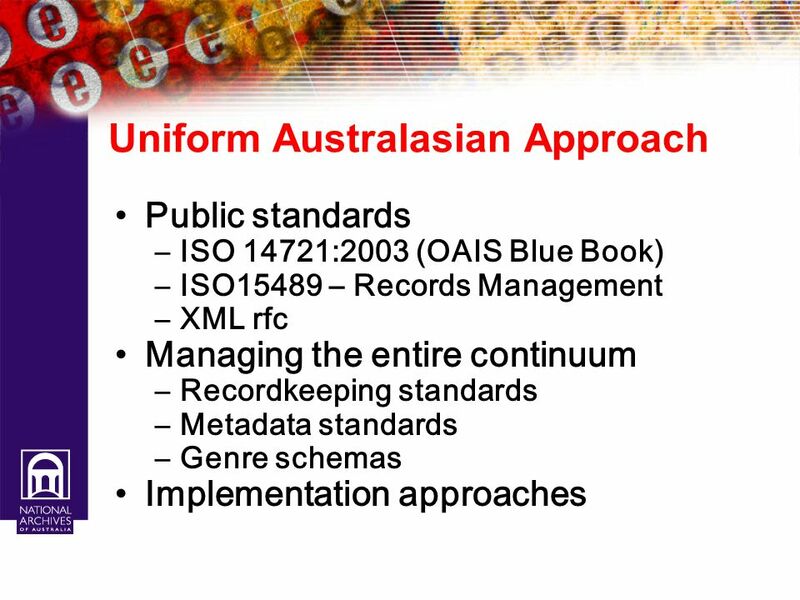 Importance of standardised recordkeeping metadata. 7. 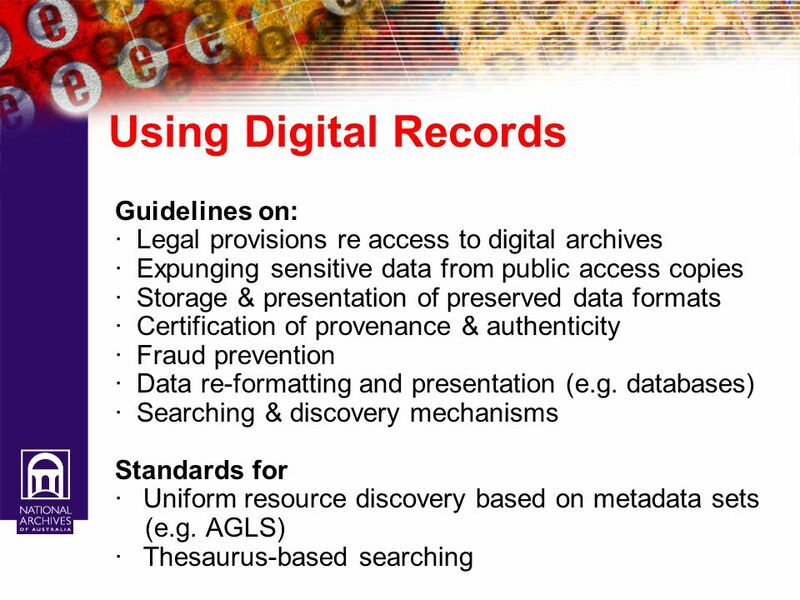 Records that are made in digital form should be retained in digital form. 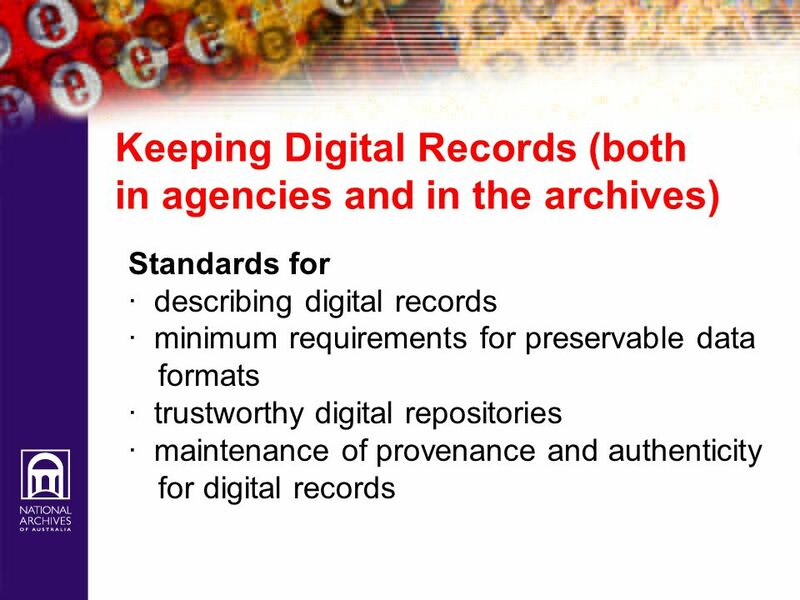 Digital records need to be actively managed and maintained. 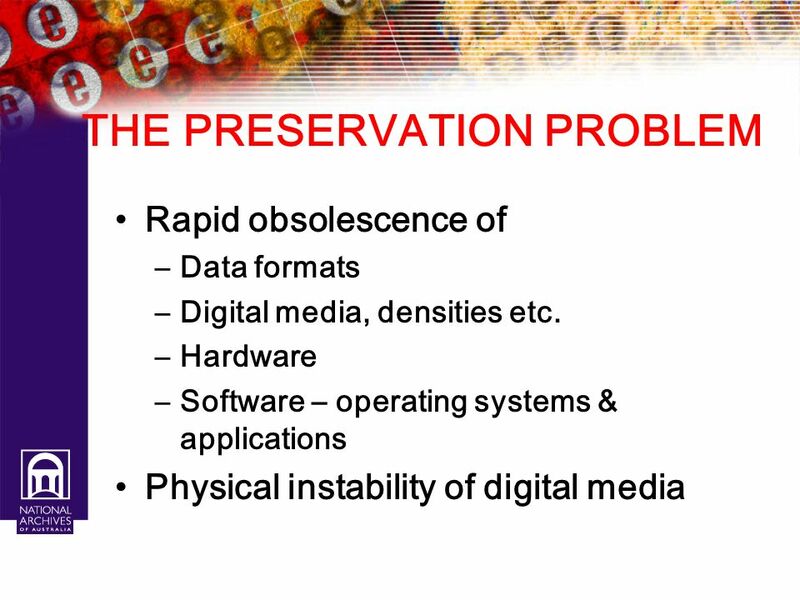 Preservation formats should not be constrained by proprietary rights. 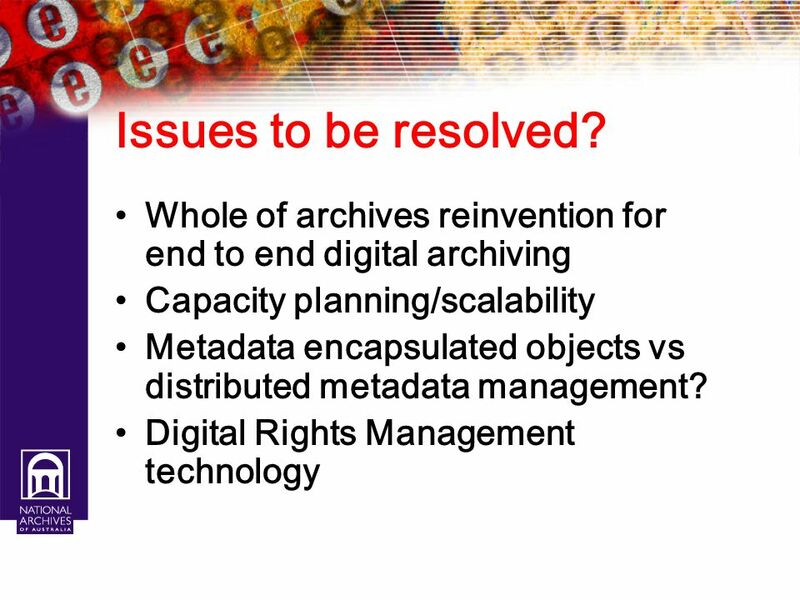 Need for trusted digital repositories. 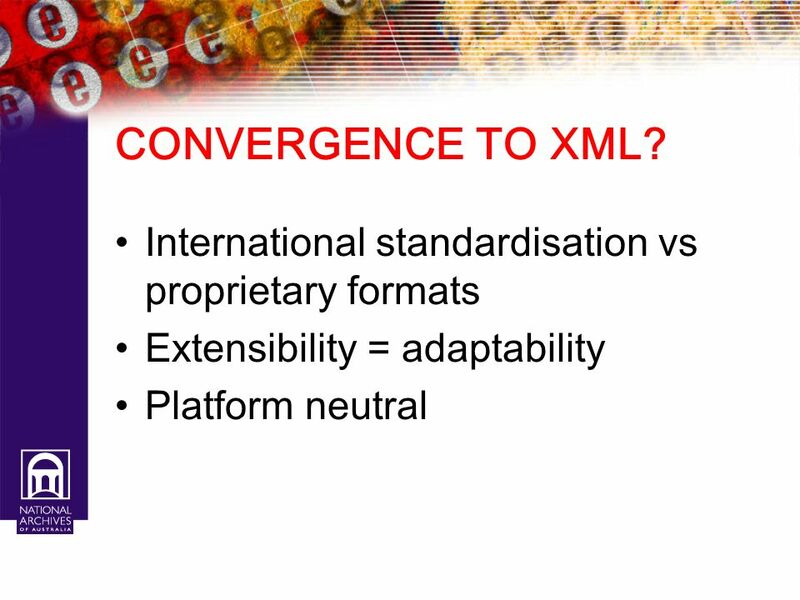 Public access should be maximised by full use of available networked technologies. 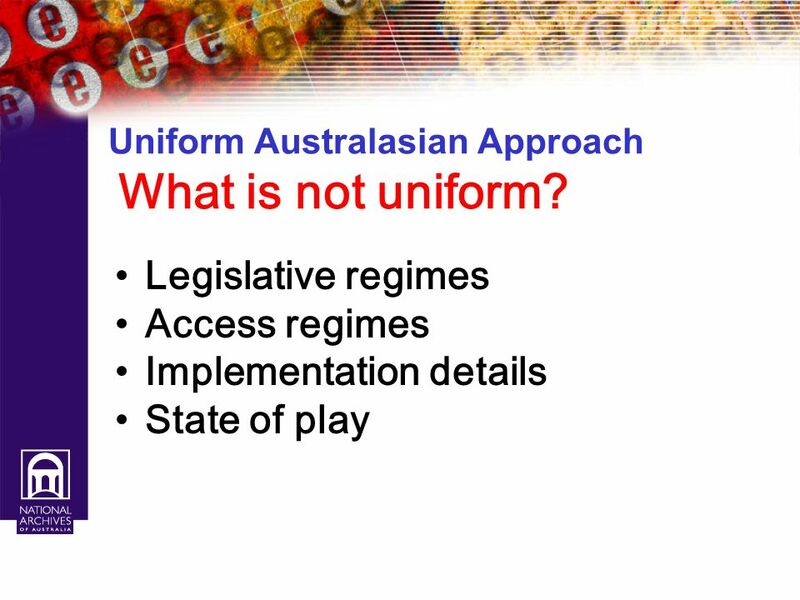 22 Uniform Australasian Approach What is not uniform? 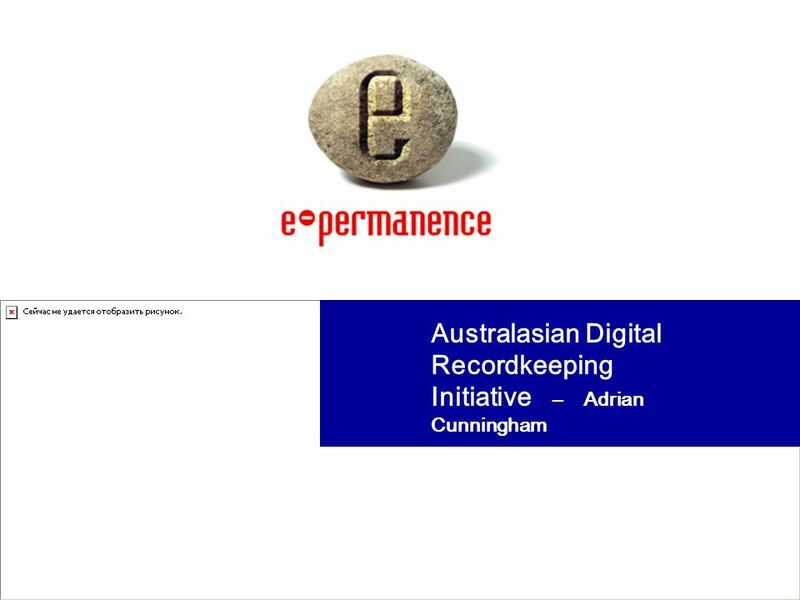 Download ppt "Australasian Digital Recordkeeping Initiative – Adrian Cunningham"
Canada Managing the Government of Canadas Grey Information: Progress and Challenges Special Libraries Association 9 June 2004 Fay Hjartarson Library and. 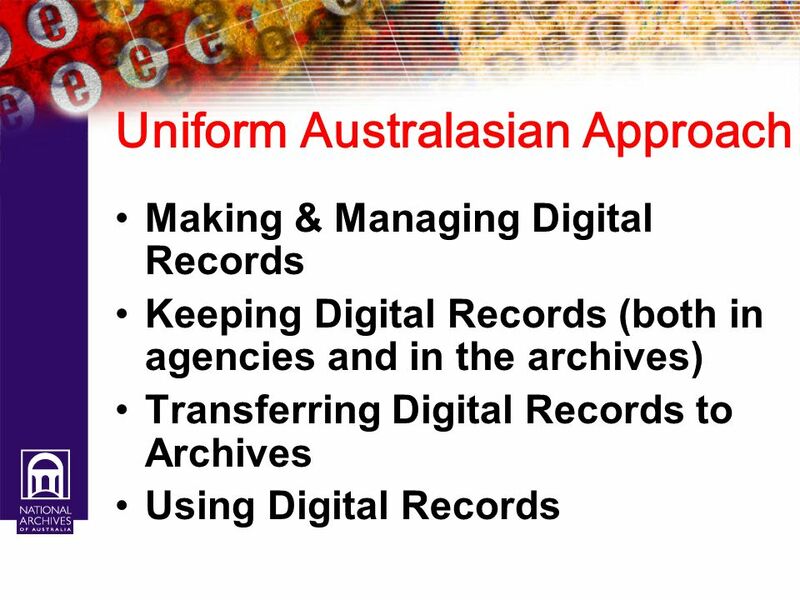 Policy on digital records preservation in the NSW public sector Cassie Findlay Senior Project Officer, Government Recordkeeping. 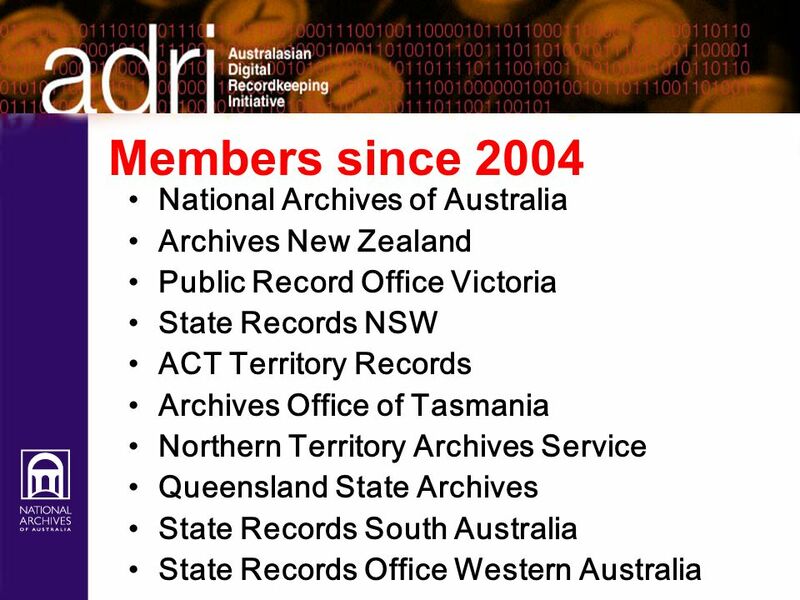 The Australian Records Management Standard Adrian Cunningham, Sue McKemmish, David Roberts and Barbara Reed. InterPARES Project Joanne Evans and Lori Lindberg Description Cross-domain Describing and analyzing the recordkeeping capabilities of metadata sets Joanne. VERS Development and Thinking Howard Quenault and Nicholas Leask. E-Commerce and Evidence: Standards for Recordkeeping in the Electronic Environment Quick Start Program World Bank May 22, 2001 Michael L. Miller, Director. National Archives and Records Administration, 2003 Federal Records Management for Managers What’s in it for me? Kevin L. Glick Electronic Records Archivist Manuscripts and Archives Yale University ECURE Arizona State University March 2, 2005 Fedora and the Preservation. 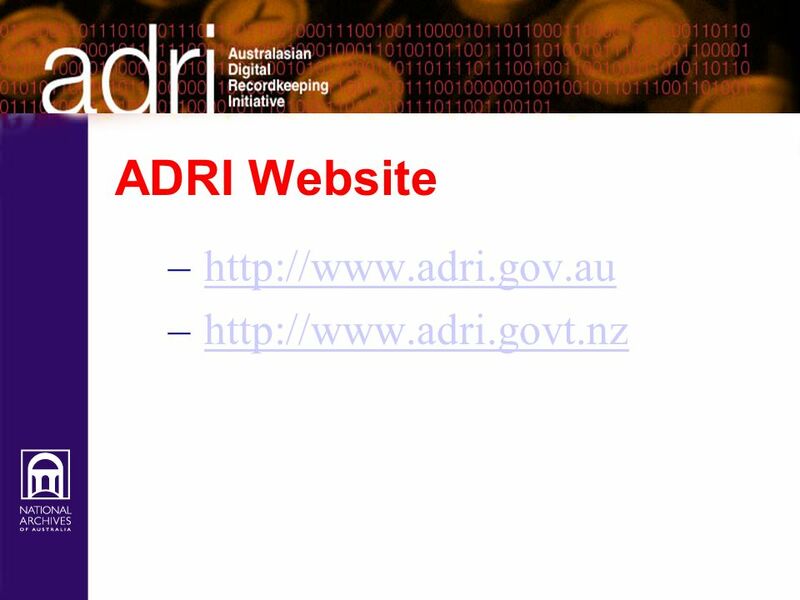 E-mail fact sheet (07/03/2007) 1 ARE E-MAIL ARCHIVING SOLUTIONS RECORDKEEPING SOLUTIONS? 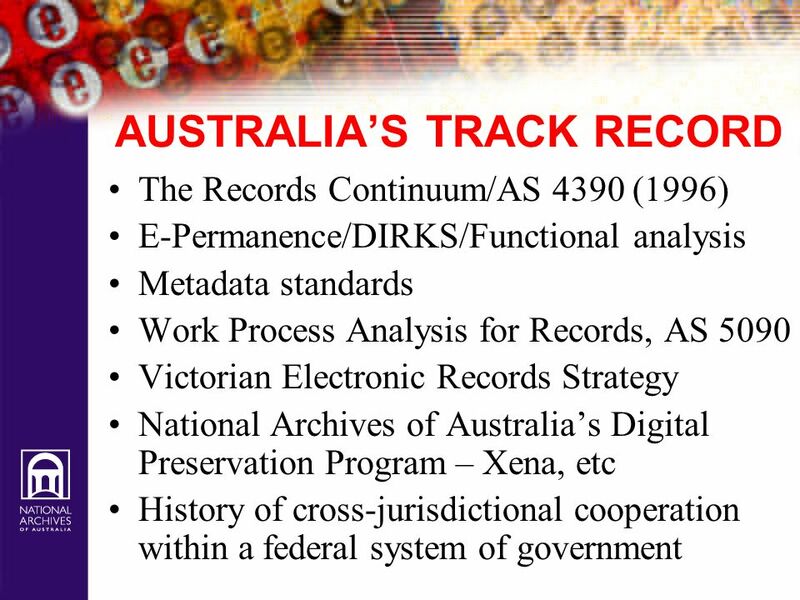 7 th March 2007 Stephen Clarke Government Recordkeeping Programme.